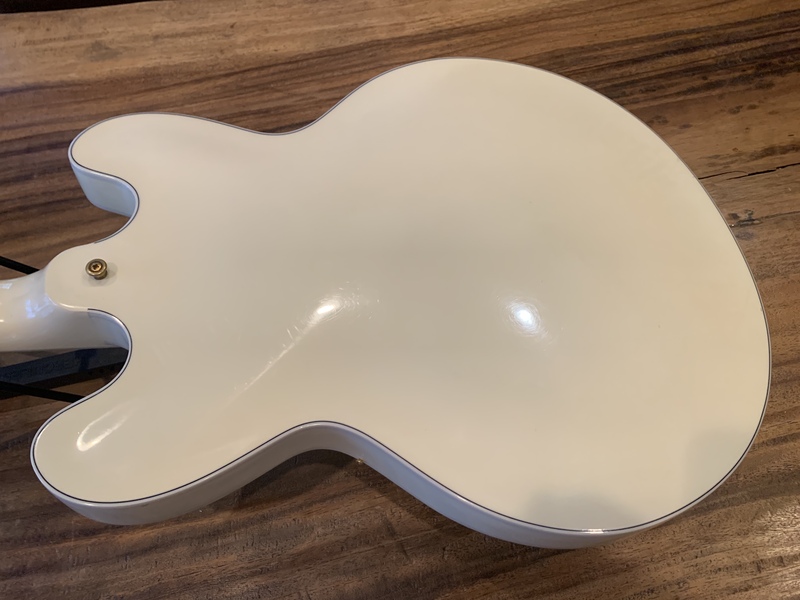 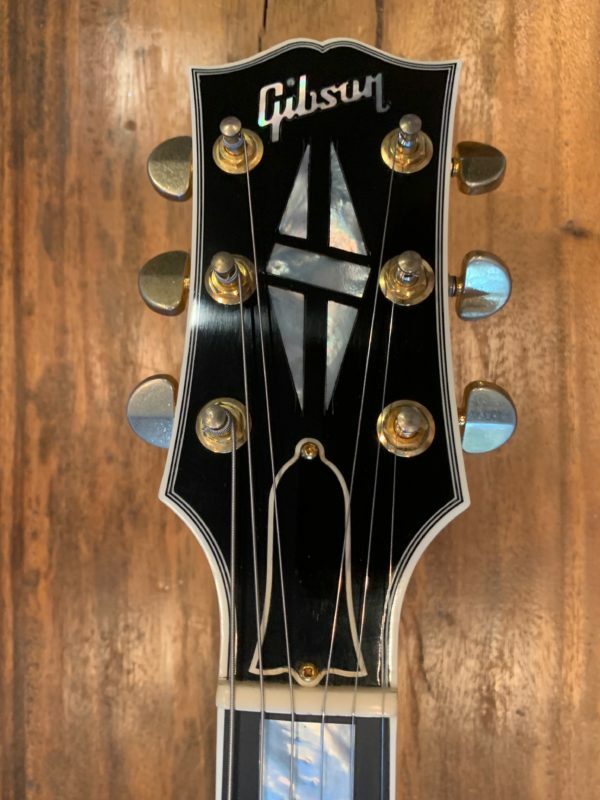 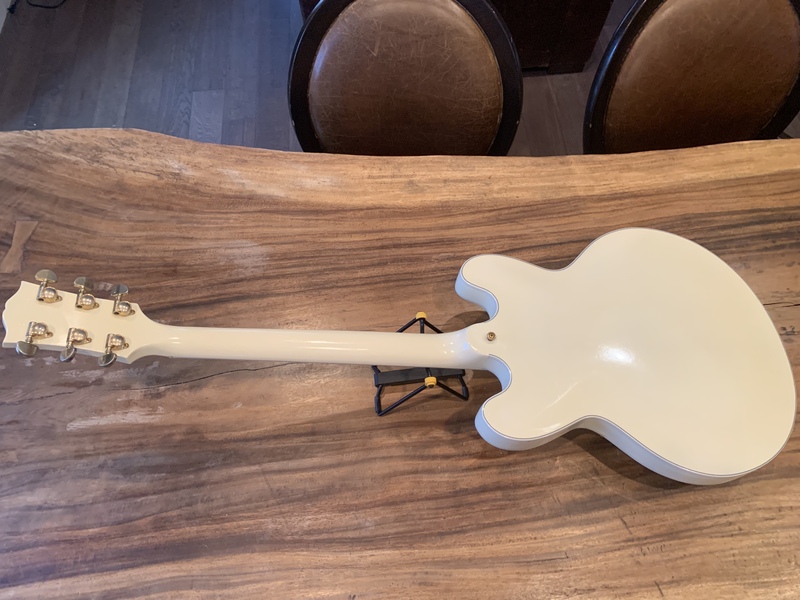 2016 Gibson ES-355 Hollowbody guitar with case. 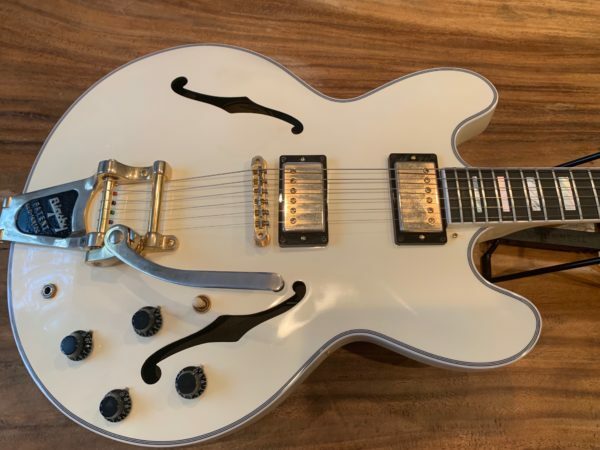 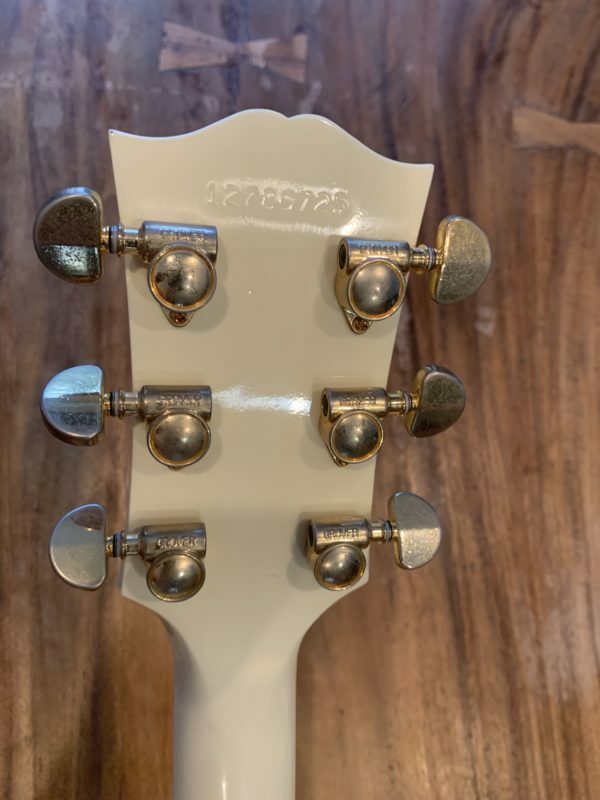 The ES-355 is the top of the ES semi-solid range, dressed in an elegant Vintage White vintage finish set off by gold hardware and a Bigsby tremelo tailpiece. 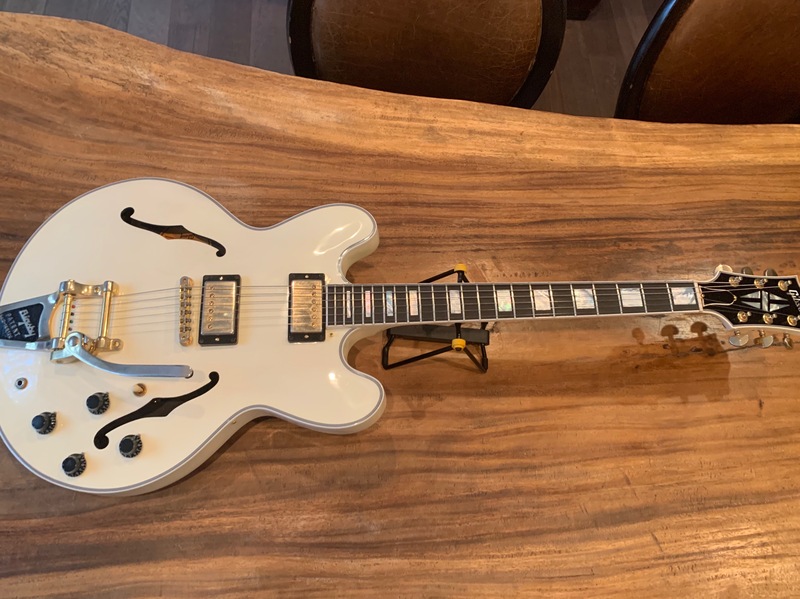 In addition to its luscious looks complemented by large block mother of pearl fingerboard inlays and multi-ply body and headstock binding this guitar features a set of 57 Classic humbuckers for the prized PAF crunch and tone, the Memphis Tone Circuit wiring harness, rolled fingerboard binding and much more.